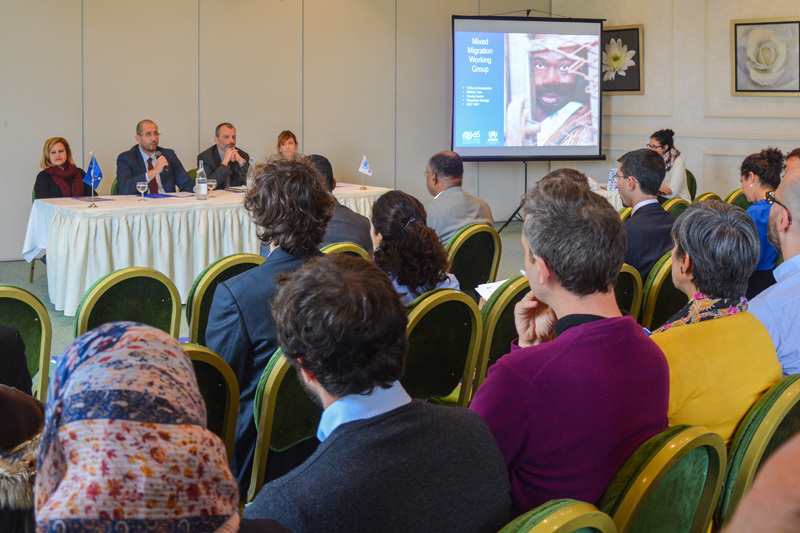 Libya - IOM Libya and UNHCR yesterday (07/12) launched a Mixed Migration Working Group, which will facilitate coordination of protection and assistance to migrants and refugees. The working group, comprised of UN agencies and NGOs, will be co-led by the two agencies on a six-month rotational basis, starting with IOM. It aims to ensure effective coordination of protection and assistance to migrants and refugees in detention centres, in urban areas, along the mixed migration routes from southern to northern Libya, and in rescue at sea situations. Key needs and vulnerabilities include the continued difficulty for migrants and refugees to access basic services due to discrimination, lack of economic resources, threats to physical safety, and restricted access to legal assistance. Access to migrants and refugees in detention centres is limited, as is the capacity of aid agencies to conduct rescue operations of stranded migrants and refugees in the desert and at sea. For the first six months, the working group will prioritize developing referral mechanisms for urgent vulnerable cases, establishing crisis related response and contingency plans, as well as ensuring access to updated local information and continuously tracking and mapping mixed migration flows. In addition, it will examine alternatives to detention, map local capacities, identify needs of intervention and new partners in the field, as well as advocate for the immediate release of vulnerable migrants, such as women and children, ensuring that all stakeholders comply with international law and the principles of human rights.